una espectacular ubicación del faro que ofrece una espectacular costa del Pacífico escapada, a sólo 25 millas al sur de San Francisco. 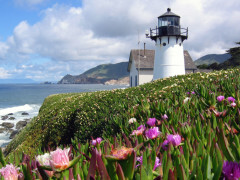 Point Montara Lighthouse se encuentra en la accidentada costa californiana, a 37 km al sur de San Francisco. HI-YHA y el Departamento Californiano de Parques y Recreos, en cooperación con los Guardacostas, han preservado y restaurado el histórico faro y la estación de señalización de nieblas de 1875. Podrás explorar la costa, observar la migración anual de ballenas grises (de noviembre a abril). Podrás visitar la cercana reserva marina James Fitzgerald, un tramo de 6 km de charcas de mar repletas de estrellas de mar, cangrejos, mejillones, orejas marinas y anémonas. Podrás disfrutar de las playas, nadar, hacer surf, kayak, footing, montar a caballo, hacer windsurf y pedalear por la orilla. I loved it here! 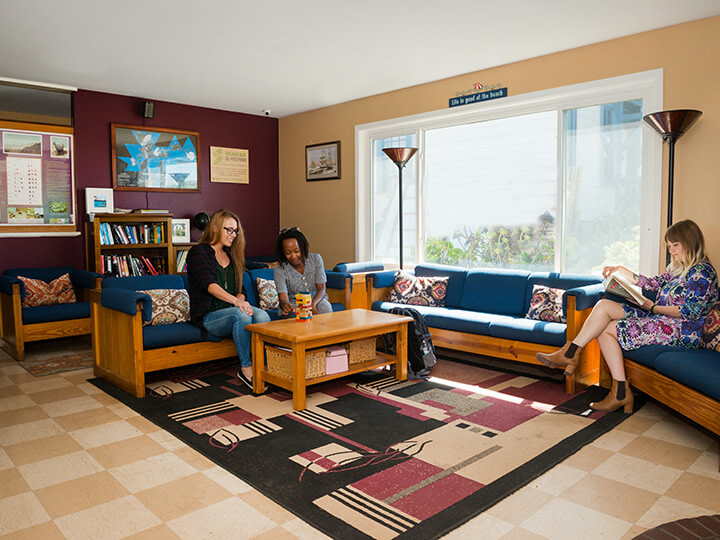 I think this is my new favorite hostel along the CA Coast! Overall I found it to be clean and comfortable. 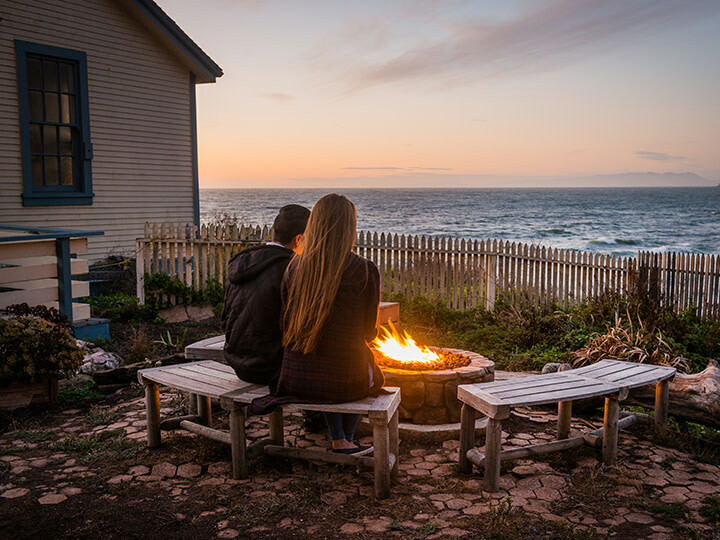 There is a wonderful pellet stove inside the main living room, and if you're lucky enough grab the sofa seat closest to it and then you can look out the window at the ocean at the same time. The location is fantastic - close enough to shops and services, but quiet enough to feel like you're away from it all. The hostel is right on the coast and can only hear the ocean waves when you're sitting outside. It's a fairly simple 5 minute walk to the town of Montara (you do have to cross HWY1, but there is enough of a shoulder to walk safely) which has a coffee shop and sandwich shop and small market. 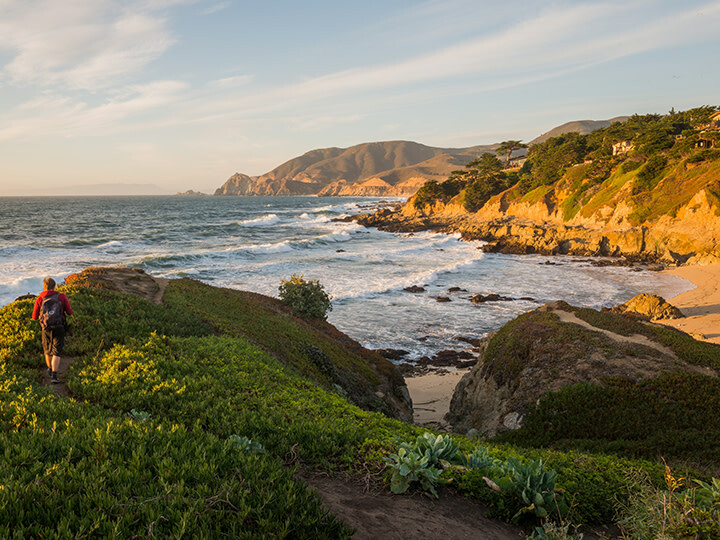 It's also just a 15 minute drive to either Pacifica (North) or Half Moon Bay (South). This hostel also sells a few groceries and food items and has espresso/coffee/tea drinks for sale - I didn't buy any so can't review them. The staff and other travelers were all very pleasant - polite and friendly but not intrusive. I can't wait to go back! 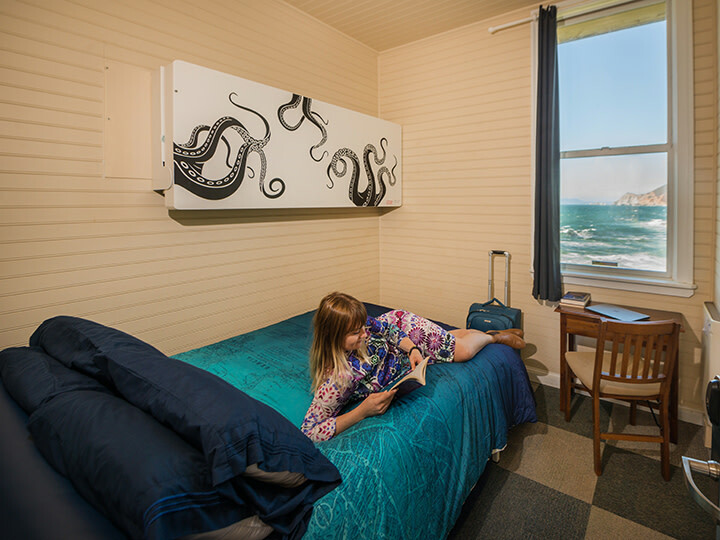 Wow thank you very much for the awesome review of HI Point Montara Lighthouse Hostel! 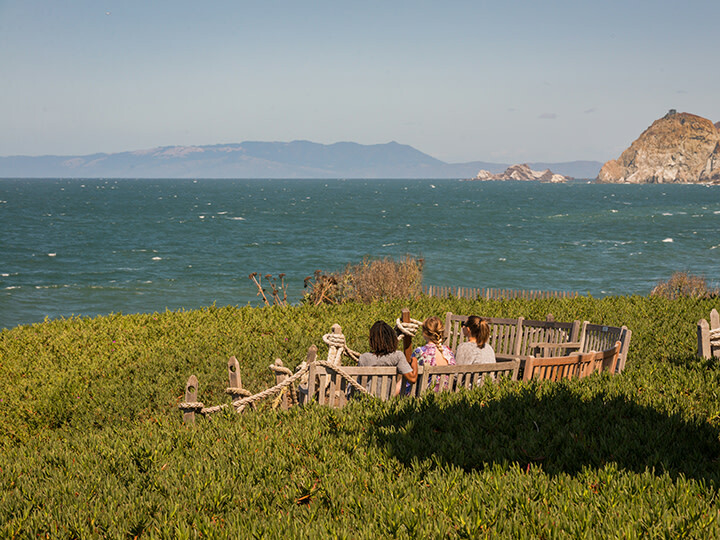 We are so glad you had a nice experience and enjoyed our location right on the California Coast off Highway 1 which is also called the Cabrillo Highway for a stretch between some of the surrounding coastal towns. We are glad you enjoyed curling up by the pellet stove in our living room and we hope you met some other guests doing the same :) There are some restaurants, convenience stores and markets within walking distance, but we always recommend bringing food if you plan on using our two kitchens to prepare meals. 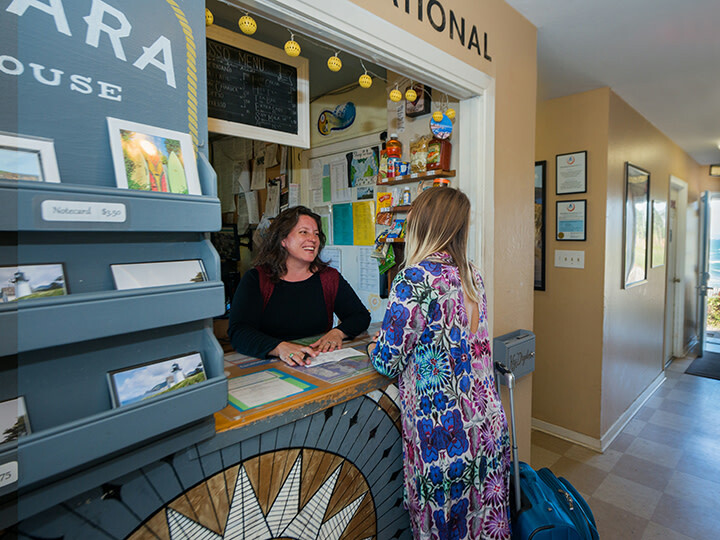 Our front desk also doubles as an espresso bar serving coffee, espresso drinks and tea for our guests with some dry good for purchase as well. We hope you will visit us again someday soon and we appreciate your excellent feedback! The beds are about 60 yrs old and should definetly be replaced. 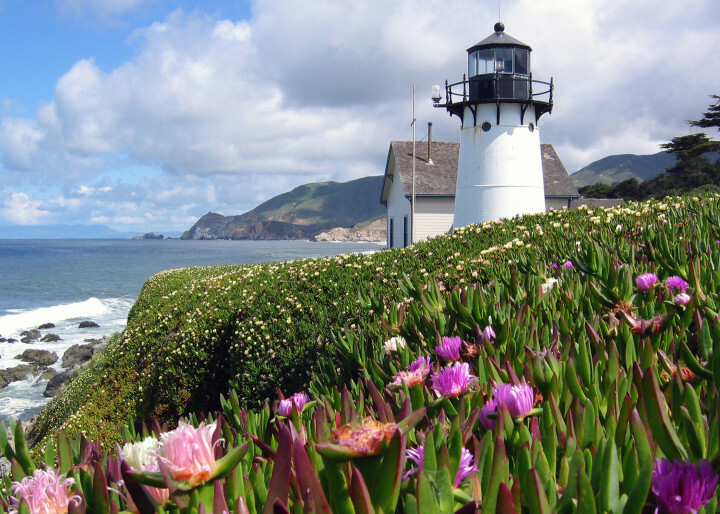 HI Point Montara Lighthouse Hostel was was established in 1980 making the facility just 38 years old. Our beds have been updated many times during the years the property has been open. Our staff appreciates your feedback and are available for guest concerns between 7:30 am until 10:30 pm everyday. Overall experience was good. I understand that checkout is at 11 and I respect that but being really rude to patrons that are still hanging out with new friends they made is uncalled for. Especially when hanging out outside! Everything else was wonderful! 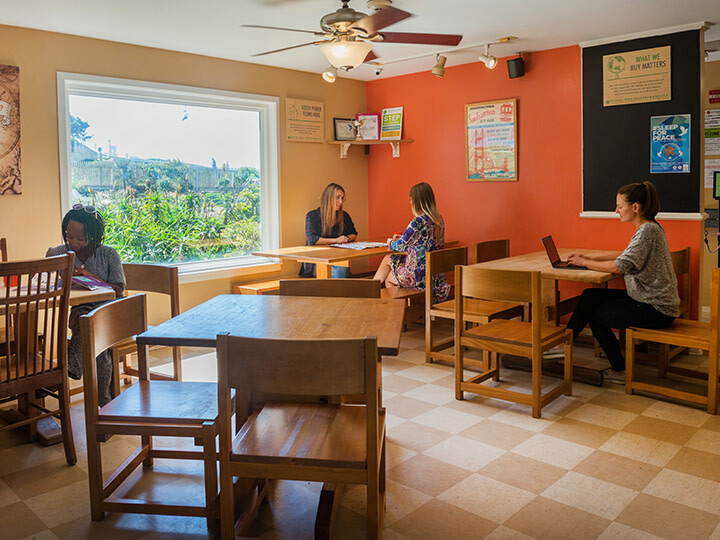 Thank you for taking the time to review our hostel. We are glad you enjoyed our location. Our small staff always maintains our rules and policies to uphold a safe and comfortable environment for all of our guests and our staff. We hope you will visit our location in the future. EN BART: En el aeropuerto internacional de San Francisco, coger un BART a Daly City y seguir las indicaciones de los autobuses de más arriba. EN COCHE: En el aeropuerto internacional de San Francisco, coger la autopista 101 North a 380 West. A continuación la 280 North hasta la autopista 1 South (salida Pacifica). Seguir hacia el sur por la autopista 1. El albergue está al sur de Montara. En la estación de Daly City BART, coger la línea 110 de Samtrans a Linda Mar Park and Ride, en Pacifica. Los DÍAS LABORABLES, coger la línea 294 de SamTrans de Pacifica a la autopista 1 y 16th Street. Decirle al conductor dónde quieres ir, ya que 16th Street no es una parada automática. Caminar hacia el norte media manzana por la carretera 1. El albergue queda a mano izquierda. Los FINES DE SEMANA, coger la línea 17 de SamTrans de Pacifica a Main Street y 7th Street. Caminar hacia el sur por Main (que se hace peatonal) hasta 16th Street y, con cuidado, atravesar la carretera hasta la entrada al albergue. Hay aparcamiento gratuito en el albergue. Se irá aparcando según se va llegando. Coger un AMTRAK a Richmond (RIC) o a la estación Oakland-Coliseum/Airport (OAC). A continuación, coger un BART a Daly City y seguir las indicaciones de los autobuses de debajo.